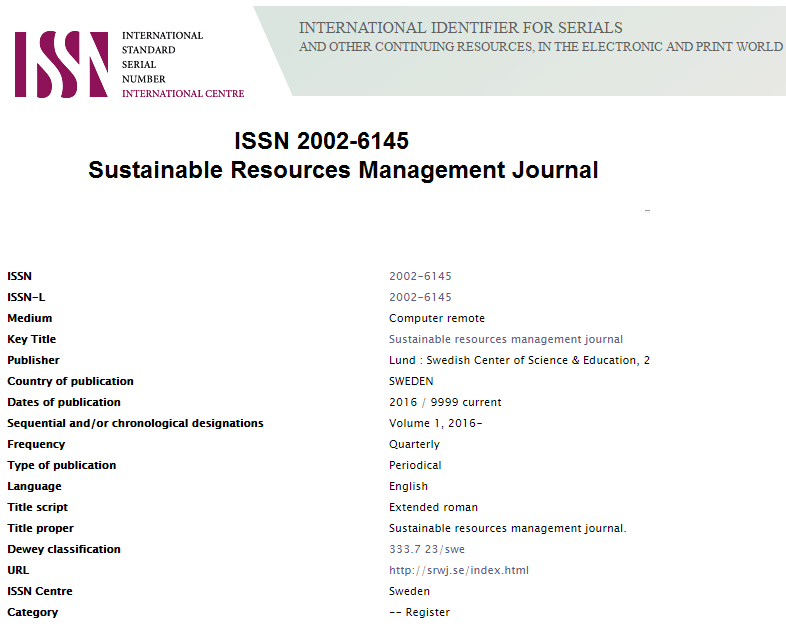 SRMJ is an open access Journal. All content of the Journal are freely available and users are allowed to read, download, copy, print and distribute. The Journal content are under Creative Commons Attribution License. SRMJ is following UNESCO's Policy and Open Access Publication. The articles are being preserved in Scribd database and Worldcat and ISSUU database. The articles are indexed by Google Scholar, Zenodo, Thomson Reuters, CiteLike, Research Bib, Open Academic Journals Index, Index Copernicus systems, Scopemed, Cosmos Impact Factor, Scientific Indexing Services, Root Society for Indexing, Directory of Research Journals Indexing, Directory of Open Access scholarly Resources (ROAD), ORCID, Open Access Journals and International Institute of Organized Research.